Forums > Living in Kunming > Poetry in 12 languages at The Moondog! This is part of the "three illegalities" policy that began in China last March. I've been studying Chinese characters for 7 years and, unfortunately, there is no book that will satisfy your request completely. If you are intersted in the origin and pronunciation of characters, you can look up in many dictionaries, such as Erya, Shouwen jiezi and the Kangxi dictionary. I think Wenlin software is very useful to understand how 汉字 changed during the centuries (it also shows how to write down some characters in different calligraphic styles and Karlgren recostrunctions). You can also visit www.zhongwen.com/, even if this website isn't the best. If you need study materials to implement your knowledge of radicals I can give you something. p.s. Hope you've already started to study traditional charachters, otherwise it's simply impossible to understand their origin. Forums > Food & Drink > New mexican restaurant near Metro? They will be closed on Mondays for the first month. 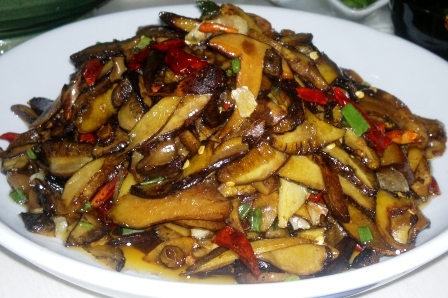 I suggest you to call this guy called Feng Jin 冯晋 13608861260, his skype account is jackie-kugsalmng and his email address is [email protected] I'm into mushrooms business and as far as logistics companies go here in Yunnan he has the lowest prices and best service (western standards). You can tell him that Li Liping told you about him, he can speak english, but if you can speak chinese it's better. I'm sure he can help you. Good luck!